Beach or pool? Pool or beach? It can sometimes be quite hard to decide. 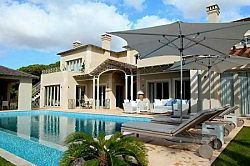 Here is a quick list of villas that make the decision harder – very close to the beach but with lovely private pools. Sleeps up to 8. 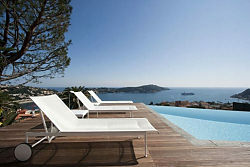 Villefranche is one of the world’s most picturesque harbours and this villa is perched above the bay with views of the sea and over to Cap Ferrat. Look down on the yachts from the beautiful inset pool. Sleeps up to 10. Fully refurbished for summer 2014:very attractive and in a stunning location with beaches and restaurants walking distance and interiors of the highest standard. Available before 26 July and from 9 August.